You asked (several times) and we’ve delivered! 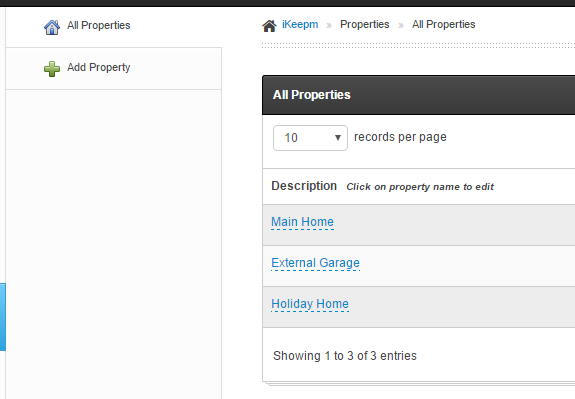 Multiple properties within iKeepm is now live, simply navigate to the “Properties” section on the left hand navigation and you’ll be able to add multiple properties. You can add as many rooms as you like to properties and as many items to room. This functionality allows iKeepm to grow with your property empire as well as allowing other uses such as small and medium company inventory management.